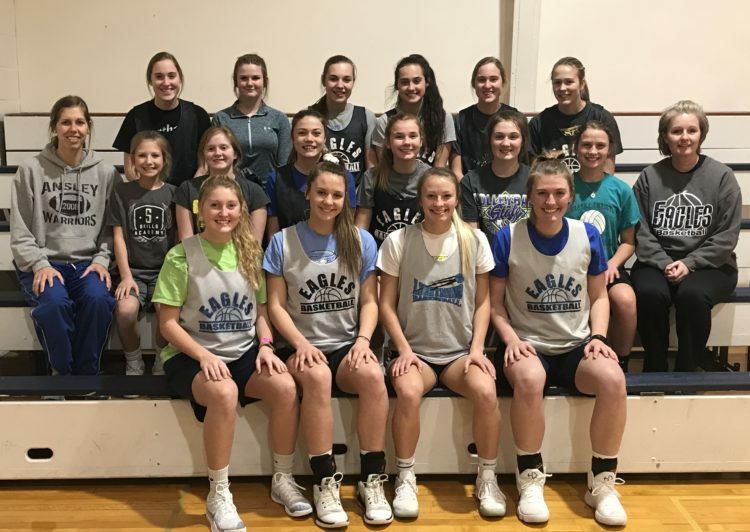 The Nebraska Christian Lady Eagles basketball team may be lacking in numbers, but what they are missing in quantity they make up for in heart and intensity. This year’s team is comprised of twelve girls. The girls lost three valuable seniors from last year’s class, and they will have to find ways to fill their shoes. They have also gained six freshmen, eager to contribute. This freshman class is a special group of girls. They are excited about the game of basketball, eager to learn, and possess very good fundamentals. It will be exciting to watch them step up and fill roles and grow this season. In addition to all the new players joining the team, the Eagles acquired a new assistant coach, Marty Griess. Griess’s son Cody (12) and daughter Molly (9) both play basketball for NC, and her older sons played while at Nebraska Christian. She brings a wealth of basketball knowledge and a critical eye to the team’s dynamic. Unfortunately, injuries have already plagued the Lady Eagles. Steph Strobel (11) is out for the season after recently undergoing ACL surgery. Freshman Lizzy Powers has also struggled with a knee injury and is currently recovering. Earlier this month, the Lady Eagles showcased their new team at the sports drink scrimmage. The small team showed much potential as they scrimmaged amongst themselves. The girls kick off the 2018-2019 basketball season at home against the St. Edward Beavers tonight (Nov. 30) at 5 p.m. Be there to support your Lady Eagles basketball team! 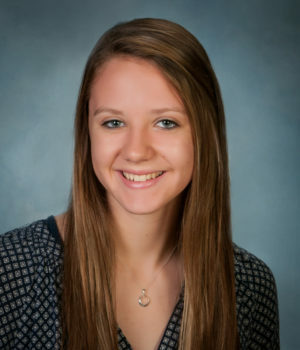 Kate Pipher is a member of the class of 2019. This is her fourth year at Nebraska Christian. Kate enjoys participating in sports, enjoying time with friends and family, working with children, and reading. She lives on an acreage outside of Central City with her parents and two siblings.